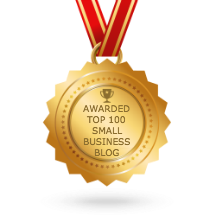 The Australian Small Business Blog: What should I do now? You have caught a buyer’s eye. Perhaps it was your expensive ad in a magazine, or even an ad online that has cost you nothing (till someone clicks on it), or got them to your website or store, what do you want them to do next? Buy? Of course, but if they don’t know you yet, and you shout “Buy Now” you will just as likely lose the buyer as they run out the door or click away. So the customer may take some time to look around to see if they are in the right place. There is a moment of uncertainty. It may be the right place, but the range of options may just be too overwhelming, so just at the time they are asking themselves “What should I do now?” - tell them. Share this article:What should I do now? Ad of the Month – Too Much?